Yes, your pesticides are killing the bees. It’s not that complicated really: If you spray your fields with pesticides, you kill the honeybees in our community. Farmer Rasband sprays the fields. These photos were taken 10 minutes apart at hives in Albuquerque’s North Valley, near some of the poshest “country estates” in the city. Farmer Scott Rasband, owner of Rasband Dairy was out spraying his fields just yards from the beehives we manage as a public service for City Open Space who sells the honey to generate funds. 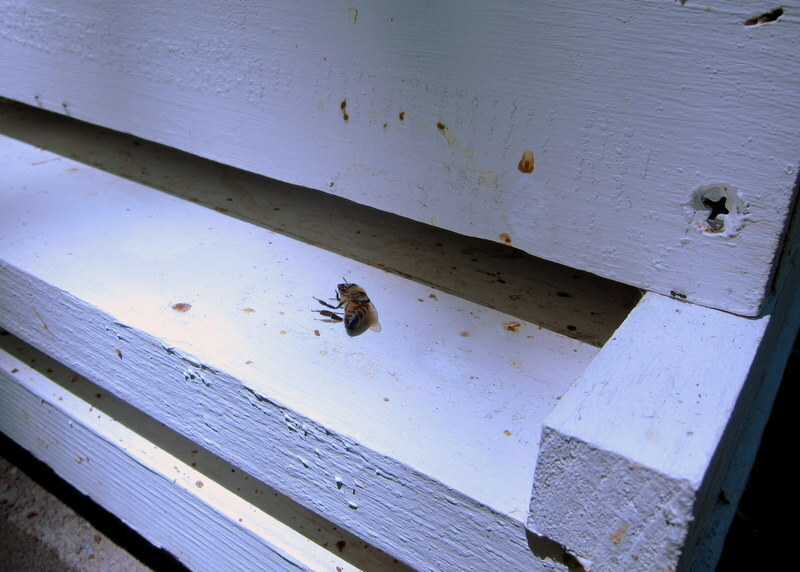 The hives had already experienced a pesticide kill from Rasband’s spraying a couple weeks ago but 10 minutes after the spraying today, bees were perishing yet again on the landing board. Makes you wonder how he treats his cows, doesn’t it? As I took the photo of Farmer Rasband, I attempted to puff up like a menacing Valkyrie but honestly, I just felt helpless and sad. Truly, to keep bees in these times is to live with a broken heart. 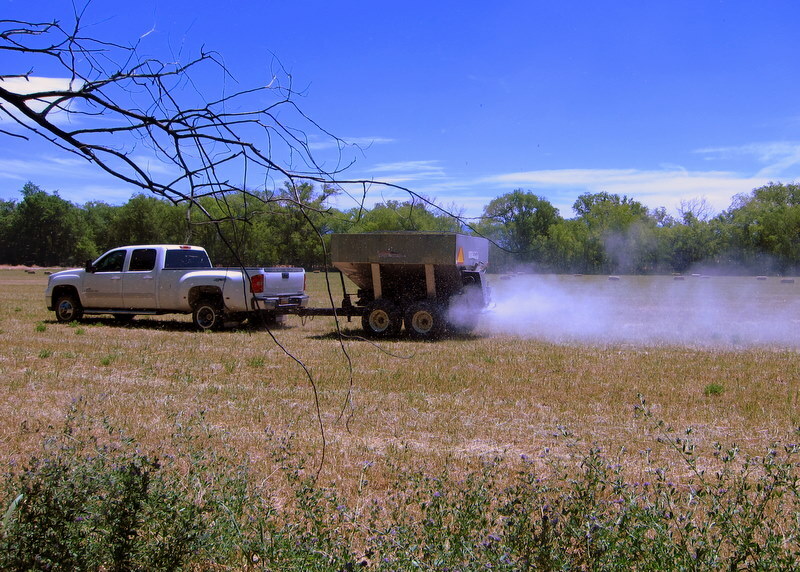 Update 5/25/2012: It has taken almost 2 years, but today the City decided to require Rasband NOT spray herbicides or pesticides on this farm on Open Space lands. Congratulations on the health of humans and bees nearby! ← Need to move your bee hive? Here’s the lazy way. I can only shake my head, so sad. This is just about the saddest thing ever. Talk about biting the hand that feeds, or in this case, the wings that pollinate. I hope your hives pull through this. Thank you both! Really, it’s terrible. I wish there was something I could do. In the meantime, huge thanks for sharing some love today. I needed it. Naming the enemy can be therapeutic. It would be so nice if “hormone-free milk” also translated to not spraying the fields with poison. Sigh. Yet another reason to love Canada! T’would be spectacular to implement protocols like that here. Thanks for sharing the idea. So we could use the Canadian way as an example to show City of Albuquerque! That totally stinks. Hope your bees are ok. Thanks for the good words, Karl. It’s so bizarre — people like my great grandfather could farm AND keep bees but for some reason the two seem mutually exclusive now. You should invite him to lunch. I got two of my neighbours to stop spraying their yards years ago smply by explaining a few things to them. It’s amazing how oblivious some people are about some situatons. I think some face to face conversation will result in some positive moves. People have lost their ability to cmmunicate in person, and it can be very positive and effective. Hello Eleanor, thanks for stopping by! I love your suggestion and will encourage City Open Space (who manages the land for both the bees and Farmer Rasband) to try this option. This really makes me sad! Makes me want to stop buying his milk as well. Yeah, I agree – I buy Rasband milk all the time because I want to support a local Dairy. I will find a way to communicate with them. Also we can tell La Montanita Coop about your post, they will have leverage, too. I’m in for protesting, too. Oh Kalisha, that’s the most sweet thing ever. Thank you, hon. Is it possible to relocate them to a more ‘bee” friendly location? I noticed today that Los Poblanos is selling Rasband milk on the member’s market. I am going to lodge a protest with Becca citing this link. Hi Jill, I’d be happy to speak with Becca about this as there’s more I’m just not willing to post publicly. In the end, we may just have to move the bees across town although city-owned sites with both bee forage and areas protected from foot-traffic are few. But still… should the farmer renting land from City Open Space (in other words, a taxpayer funded property) be allowed to spray pesticides and herbicides? Should he be allowed to do so in a residential neighborhood? At the very least, shouldn’t he reveal his spray schedule and list of chemicals used? It’s much bigger than beekeeping, it seems. Hi there. Thanks for the suggestions, Monte, I really appreciate it. And especially the offer for an alternate location! I’ll make sure City Open Space is aware of this option. Yes, my understanding is that there is a regular but unsuccessful dialogue long underway between Farmer Rasband and the City Open Space program. 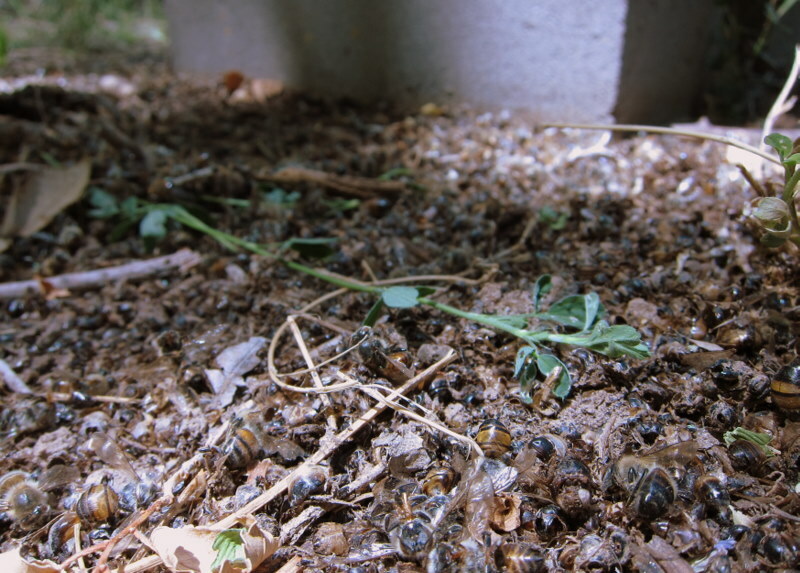 I maintain the bees above for City Open Space, so working through them is the necessary course of action. Sadly, all I can say for certain from my perspective is that the hives are struggling with chemical kill at that location and that I’ve personally witnessed both the truck shown above and another ATV loaded with jugs of liquid being sprayed on fields managed by Rasband. In the meantime, I appreciate all the good thoughts and supportive ideas. Thank you so much for caring about the fate of pollinators in our gorgeous city! Modern “farm” men thinking only in economic terms, products and profits. Usually thinking and acting in the “land-as-commodity” mindset has consequences that can be more easily ignored, but in this case, there it is, yards away. Destroyers and usurpers. Curse them! Good on you for working so hard to have healthy bee populations in ABQ. You are my bee heroes. An update, folks. 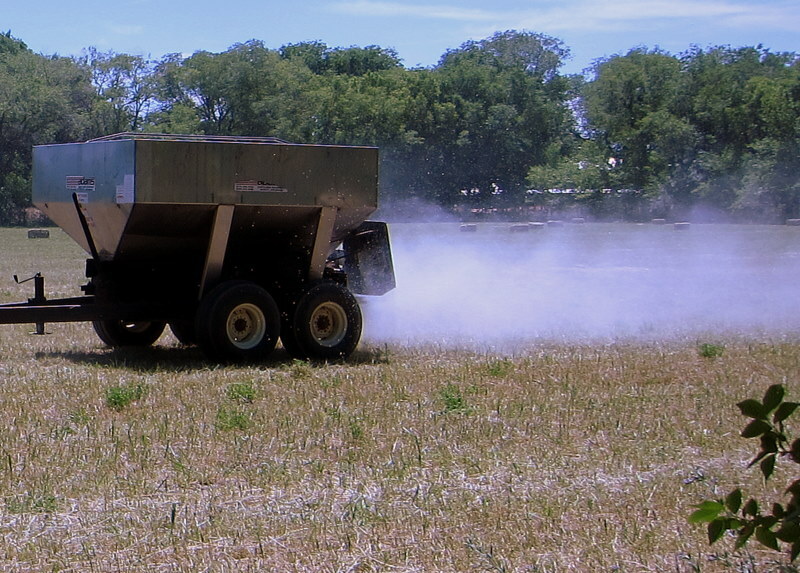 I spoke with City Council last night and they say that Open Space is working to get herbicide/pesticide notification and disclosure built into the contract for this farmer. I’d want to remain hopeful. But I’ll probably just be practical and move the bees far, far away from this location since I have no data to indicate there’s an actual desire to work together. The good news is that his contract is renewed annually, so perhaps good citizenship will play a role in reevaluation. i’m trying to decide whether or not to try rasband dairy milk with my new skarsgard basket & came across this post while googling. since this post is more than 3 yrs old, i am wondering if there are any more recent updates? we are an organic family that is trying to get more local, so any further updates you have on this chemical issue would be appreciated. thank you!